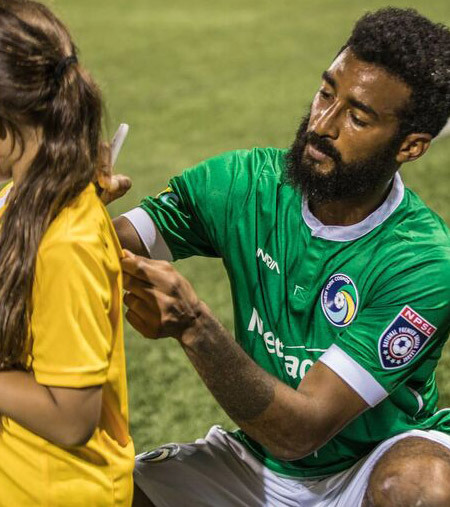 Ryan Adeleye is a professional soccer player for the NY Cosmos. Finding an advantage in a competitive sports world was top on his list. So he turned to a healthy lifestyle back in college. We check in with Ryan to find out how E3Live superfoods help enhance his athletic performance. My name is Ryan Adeleye. 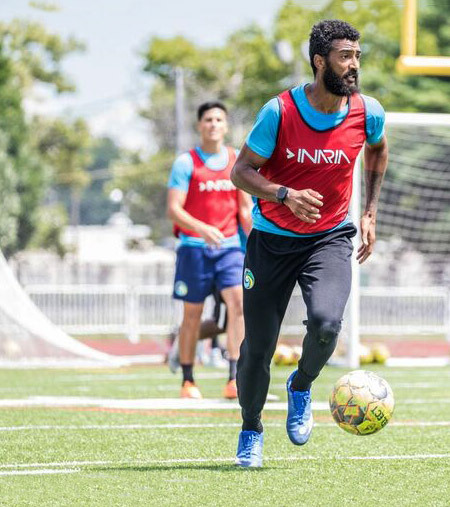 I am a professional soccer player for the NY Cosmos. 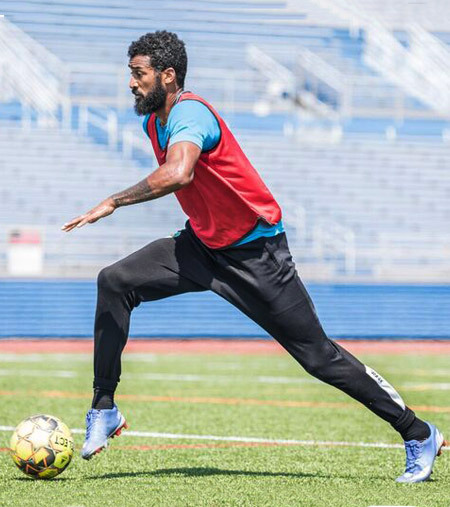 I have been a professional soccer player 10 years, including 6 seasons in Israel and various teams in the United States. I became interested in a healthy lifestyle in college when I attended UNC Chapel Hill. The competition there made me seek out any advantages I could find in order to succeed. I learned that eating correctly and rest are just as important as how you train. How do you maintain health on the road? Maintaining good health on the road is all about planning. BrainON on-the-go singles are very convenient, making it easier to get my nutrients when I am on the go. My healthy go to meal is grilled/baked chicken, pasta and avocado. What E3Live products do you use and what is your favorite E3Live product? I use E3RenewMe! Total Body Blend and I love it. I use BrainON and Blue Majik to help with my recovery but E3RenewMe! Blend is my go-to. 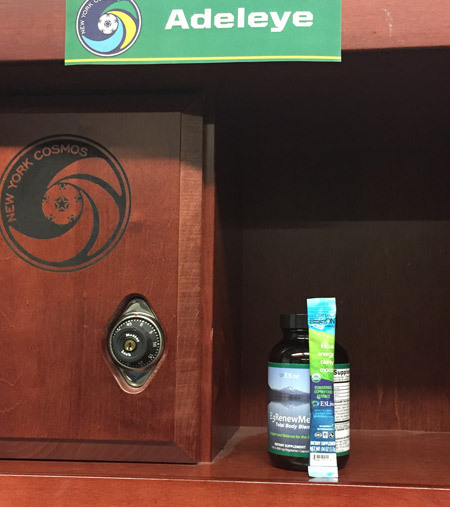 How do E3Live products help with your athletic performance? The E3RenewMe! blend keeps me focused and sharp. Blue Majik helps me recover after training and games. 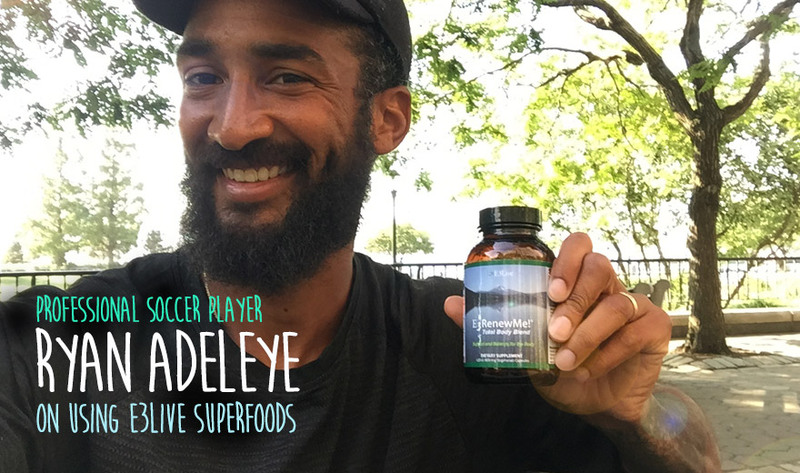 How do you take E3Live superfoods? No special recipe for me, I like E3Live straight up. “BrainON on-the-go singles are very convenient, making it easier to get my nutrients when I am on the go. “The Renew Me blend keeps me focused and sharp. Blue Majik helps me recover after training and games. 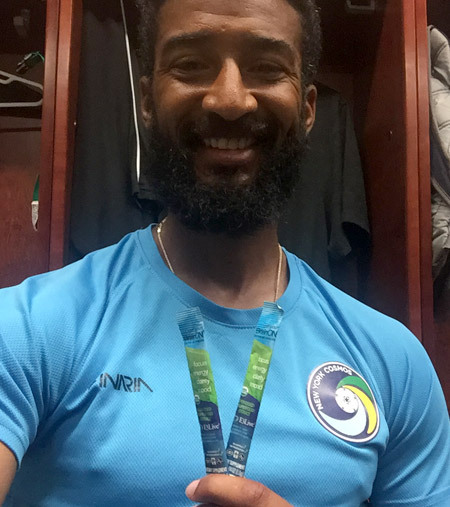 Ryan Adelye and other premier athletes around the world use E3Live superfoods to enhance athletic performance and to speed up recovery. Read other athlete testmonials for E3Live superfoods. 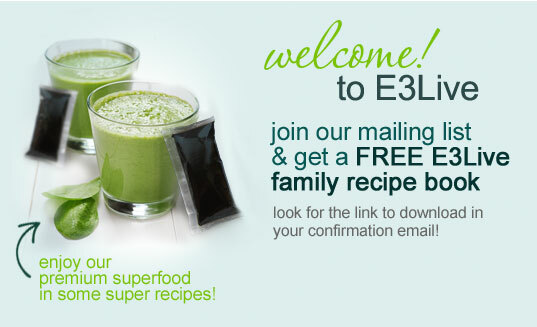 E3Live fresh-frozen superfoods are great for energy, vitality and endurance. E3RenewMe! is our overall body blend helping you maintain a strong immune system. It has MSM which is great for joints and flexibility. BrainON dry is convenient and easy way to increase your focus, concentration and mood balance. Tag #e3liveathletes and let us know how you use E3Live superfoods to give you an athletic edge!